Organic dairy farmer Macro van Liere, from southern Holland cited a number of Irish innovations that play a key role in the success of his farm. Van Liere, who is 39 years old, lives in Esbeek in the province of North Brabant in the Netherlands. 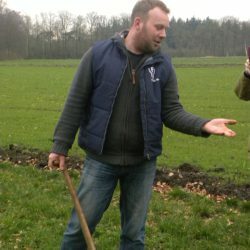 AgriLand visited his farm this week as part of a study trip organised by the EU Commission. Macro’s father retired two years ago at 65 and he took over the running of the farm. 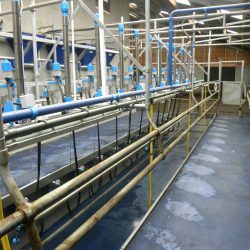 Last year he invested in a new cubicle house for the cows and a new milking parlour, which happens to be a Dairymaster Swingflo from Tralee. 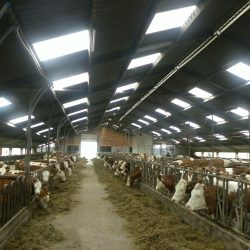 The new shed can hold 100 to 120 cows, however Van Liere has only 70 to 75 at the moment but he plans to expand within reason when the milk quotas go. 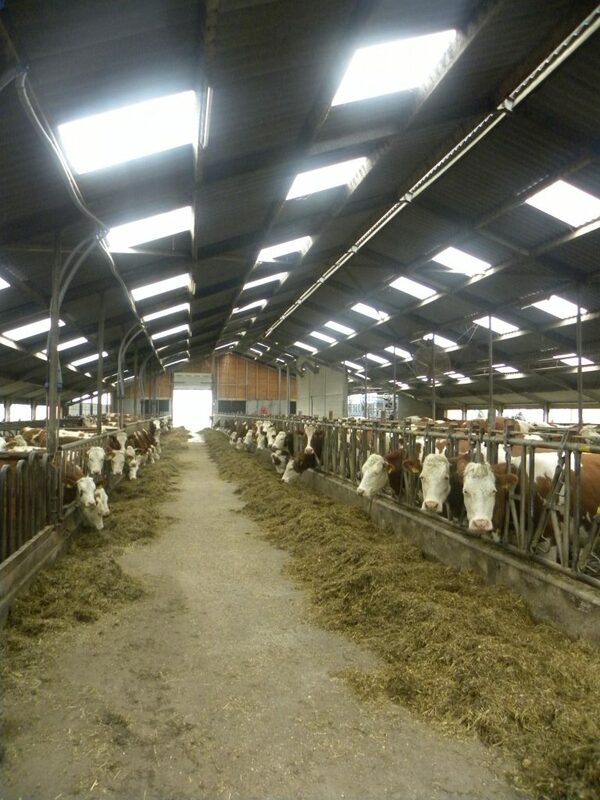 21 years later Van Liere now produces 400,000 -500,000/kg of milk per year. 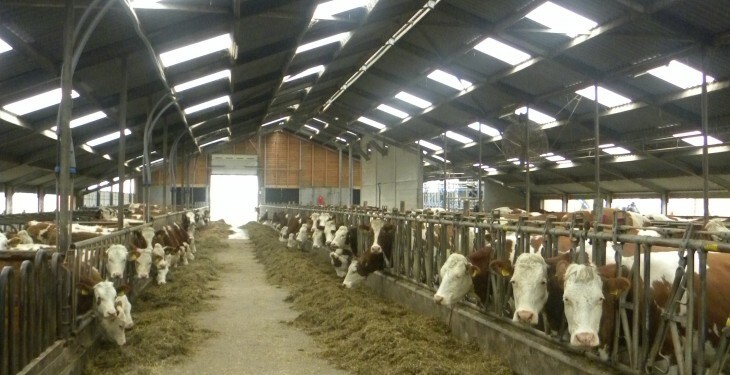 He sells all his product to EKO Holland, which is a co-operative of 120 organic dairy farmers. The milk is then sold on for further processing. Macros current price is 52c/kg milk. Macro farms 70ha of land, 5ha of which is maize, 10 summer barley and some winter triticale. 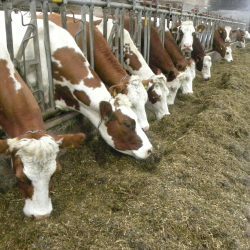 He has 70 to 75 dairy cows and the breed is a cross of Fleckvieh and red and white Meuse Rhine Issel producing on average 6500l per cow per year. His cows graze as much as possible from April to November. This depends on the weather as his land can get wet after heavy rainfall. According to Van Liere: “The cow’s milk almost all year round. 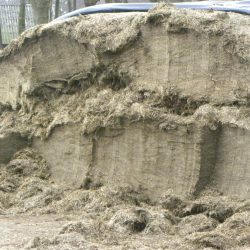 This because of the high milk price during the winter.” In terms of calving 70 per cent of the herd calves at the end of the summer or beginning of autumn. The rest calve in early January. At present his milk content is 4.2 per cent fat, 3.6 per cent protein. The price is approximately 10 cents higher than non organic milk in Holland at the moment. 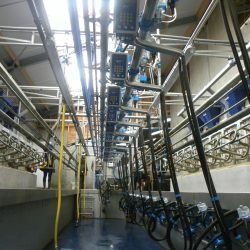 Marco pointed out that he chose his Irish Dairymaster Swingflo parlour because he wanted to milk the cows as fast as possible. In the new parlour he can milk 80 cows in an hour. Another key Irish innovation playing an important role on the farm is Irish clover varieties. The cows are currently on a diet of red grass clover, maize silage and rolled barely.